On the village playing field behind the Olde Inne. Starts at 3:30 and goes on as long as needed. 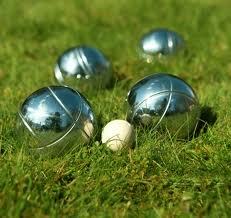 Teams of two or three to play for the Boules trophy. Prizes for the winning team. Come along and have some sunny summer fun. Just turn up, no tickets. This is a provisional date. 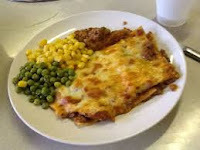 Have an evening of memories as we serve your worst nightmare -- a school dinner. Traditional puddings supplied by various cooks in the village. By popular request the Red Herrings will return with a new mystery to baffle us all. They will premier their new costume mystery based on a masked ball. Food will be provided by our village chef team of Chris and Jenny. Details to follow.